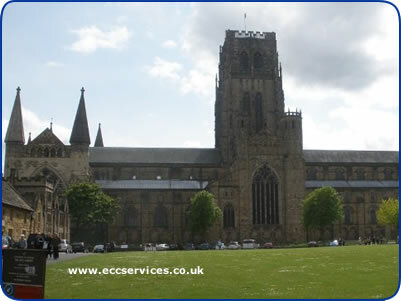 Durham is a City heavily influenced by tourism and students. well as those who live there. reside in Durham certainly know how to have a good time. the world to experience what this piece of history has to offer. number of great party venues and function rooms. The company also caters for other events within the city such as wedding receptions in the town hall, beer festivals at the student union and prestigious evening meals at the TA Centre. The city’s Saturday market and farmers market also provide the company with a great opportunity to spread their reputation in the Durham area. The company’s stall has now become a mainstay at both these events, competing week after week with the many fast food and sandwich shops within the centre of Durham. The success of these stalls has resulted in the company securing bookings elsewhere, both at other markets and galas and also private functions. Although the university colleges usually choose mass catering options such as a hog roast or a barbecue in order to feed all their students at their events, the company does offer additional services. These catering options include, hot buffet foods, cold buffet foods, finger buffet foods and platters. Every event is different and it's mainly down to the event organisers to choose the food required, if any assistance is needed we are always here to offer help and advice. All types of catering offered by the company are popular across Durham. As a company Executive Catering Services do the majority of their work within the North East area, often funeral buffets, hospitality buffets and party buffets are chosen from the cold buffet food, finger buffet food and platter menus. Other events such as those for the students, weddings and some birthday parties tend to be catered for by either a hot buffet option or one of the mass catering services. As well as offering a range of food catering options the company also offers a mobile bar service. A combination of food and beverage catering has proved to be very popular at the events Executive Catering Services have previously catered for in Durham. For more information on the catering options available or to book quality and professional catering for your event call us on 0191 3863682 or take a look around our website.